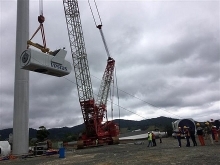 The 1,200-megawatt Lai Chau Hydropower Plant has been put into commercial operation one year ahead of schedule, becoming the third large hydropower station on the Da River. The other two are the Hoa Binh and Son La plants, respectively completed in 1994 and 2012. With the completion of the Lai Chau Hydropower Plant, the total capacity of hydropower plants built on the Da River is now 6,500 megawatts. 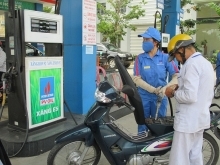 Their annual output is estimated at 25 billion kWh, equivalent to one third of Vietnam’s total electricity output. 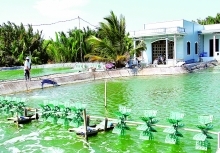 In addition to power generation, Lai Chau and other plants play an important role in regulating flooding during the rainy season and supplying water during the dry season for the Red River Delta. It is estimated that the completion of the Lai Chau Hydropower Plant one year ahead of schedule will bring in an additional VND5 trillion (US$220 million) in revenues, according to an estimate by the State-owned power utility EVN. The plant’s reservoir has also helped to improve irrigation for the Red River Delta and to increase the useful operating time for the Son La and Hoa Binh plants since it was put into operation in 2015. 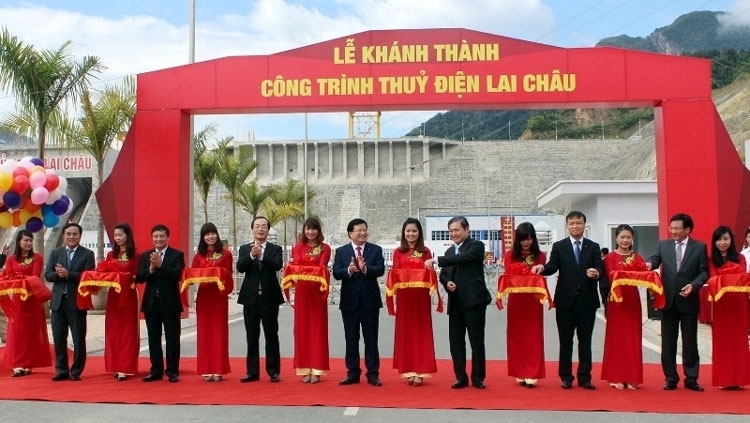 Speaking at a ceremony to mark the Lai Chau Hydropower Plant’s completion on December 20, Deputy Prime Minister Trinh Dinh Dung praised the concerted efforts of tens of thousands of workers and engineers working on the project. He also commended the local authorities in Lai Chau and Dien Bien Provinces for their good work in site clearance and the settlement of residents displaced by the project. The deputy PM requested that the two provinces help affected residents gain sustainable sources of livelihood, especially ensuring sufficient land for cultivation and helping them to learn new trades, as well as developing essential infrastructure appropriate for their customs. In his address, Deputy PM Dung also asked EVN to operate the plant in a safe and proper manner to maximise its water regulation function while still achieving maximum efficiency in power generation. On the occasion, Deputy PM Dung awarded the Labour Order to the Song Da 5 Corporation, the main contractor of the Lai Chau Hydropower Plant; Vu Duc Thin, a member of the Steering Committee for Son La–Lai Chau Hydropower Projects; and other individuals for their contributions to the project.